The Woodlawn Row Houses were cool. A dense complex of four attached, 4-bedroom woodframe dwellings designated by the City's Preservation Board in 1982 as a local landmark, burned this past summer in the middle of the night. They were one of the last three sets of row houses in the neighborhood where 21 sets once stood. While a number of exterior changes were made during the 80's - with out the Preservation Board's approval - the row was turned from four to eight units and was later abandoned when the owner passed away 9 years ago. 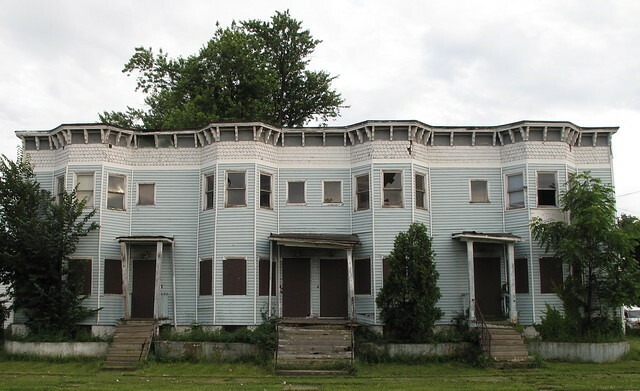 The City took possession of the Woodlawn Row Houses in 2002. While placing the building on the local radar with a series of monthly postings and attracting additional attention to the neighborhood, a handfull of potential prospects stepped forward during the last five years. Investing in the neighborhood was only going to be easier with the $35m renovation of the City's Performing Arts High School across the street, or so I thought. Keeping the structure sealed was a continuous, almost Sisyphean task. In the end the row houses burned. 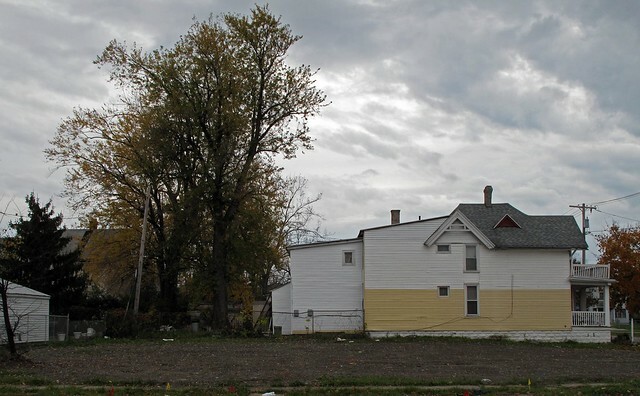 The City did attempt to sell the property in September 2007 at a special auction which was plagued by a number of legal issues and last year the high bidder walked away after failing to assemble the necessary financing to close the deal. Six months later the row houses burned and were demolished a few days later. Lessons learned? For starters - the obvious. Why is there not a web presence and a strategic marketing effort on City Hall's 9th floor to put these properties back into productive reuse? Stenciled 'For Sale - City of Buffalo' signs is one first small step. Having an updated catalog of City-owned properties available to the public is another obvious missing piece. The last "catalog" - a .pdf file, buried in the urban homesteading page of the Division of Real Estate's site - hasn't been updated since February 2009 and contains only 120 listings. The City owns thousands of properties - where are the rest? A user friendly and searchable interface is a must. Going forward in 2010 this blog will put a new focus on vacant City-owned properties. It will put a fresh pair of eye's on City Hall's negligence of these untapped economic resources. Every month it will focus on one property the City has abandoned. Tough questions will be asked about the need to secure these structures and to plan for their future reuse. Posts will feature neighbor interviews and a check-list will provide ways for fixBuffalo readers to take action and help in the mothballing, preservation and possible sale of the structure. Interviews with housing activists, planners, preservationists and policy makers from the non-profit and business community will round out a series of 12 monthly posts featuring architecturally and historically significant structures in Buffalo. First stop - 16 Harwood Place. Stay tuned. 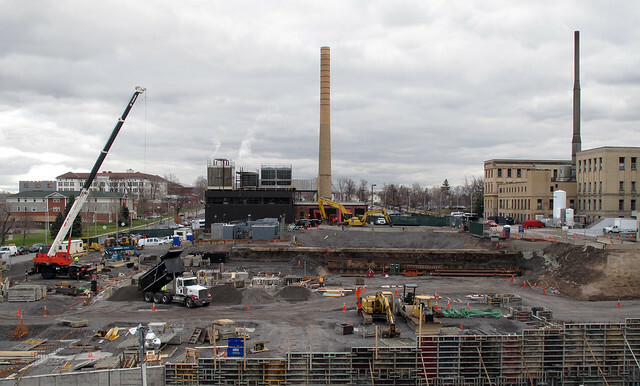 The pace of construction continues at the site of City's new Global Vascular Institute. This block of Goodrich Street - between Michigan and Ellicott - that was sold to Kaleida for a reported $1m - was recently excavated. There a number of additional pics from this past week in the Kaleida/UB flickr archive.